It is an entrepreneurial time with creators and developers building and designing for the on-demand and connected economies. You may even have a current solution that you want to enhance to remain competitive. There is no need to incorporate inferior devices or software into your ecosystem. Consider CalAmp’s Channel Partner and Solution Provider here program. Taking an idea from concept to full market viability is difficult despite the success stories in the media. Often unmentioned are the failures which could result from poor timing, target marketing or press. Another complication to success could be scalability. When growth is in your future, it may be time to work with a market trusted partner to propel your branded solutions forward. CalAmp has worked across multiple industries around the world. Partners benefit from the flexibility to manage and configure devices to their needs. They also work with us to integrate our software for a more competitive solution. Our resellers make our devices more accessible. Whatever your requirements are, there are options to choose the right hardware, software, data and wireless services. •	AGM Communication & Control develops the R-Win Inside solution, a SCADA communication application built using the CalAmp Open Developer Platform™ (ODP) on the Vanguard 5530. More here. •	Car Security in Argentina now offers devices and connected car services to insurers in Argentina, Chile and Uruguay. More here. •	CityWorks integrates with GovOutlook to streamline a Michigan city’s public works operations. More here. •	Direct Communications Solutions (DCS) extends the benefit of CalAmp’s CrashBoxx™ services to small- and medium-sized businesses. More here. •	GetWireless will distribute and support CalAmp’s vehicle, asset and cargo tracking and management solutions. More here here. And, it isn’t just about incorporating high quality components into your ecosystem. Another benefit is the marketing and communications support. It ranges from a partner portal to quarterly webinars to program alerts. 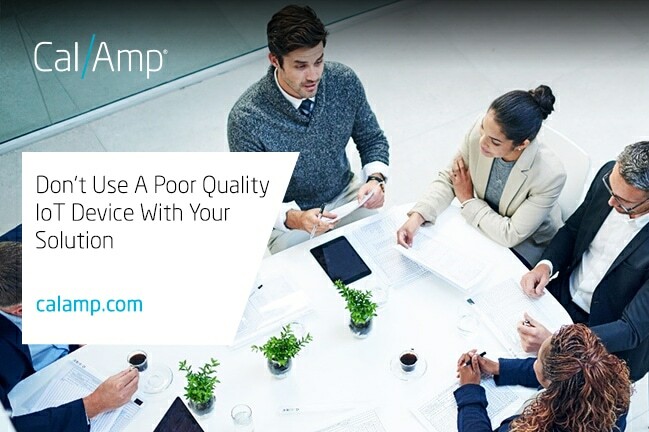 If CalAmp’s program sounds right for your business, please contact us here.